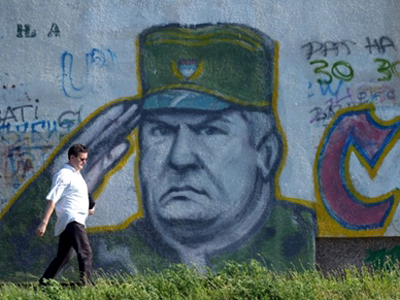 Not many in Serbia believe that General Ratko Mladic will receive a fair trial when extradited to the International Criminal Tribunal in The Hague. ­A Serbian court has rejected Ratko Mladic's appeal against extradition and he is expected to be transferred to the Netherlands within the next few hours. The 69-year-old is accused of ordering the massacre of up to 8,000 Muslims in 1995 and was on the run for more than a decade. 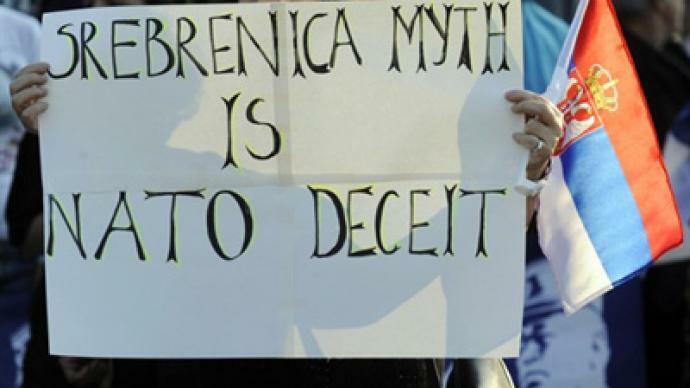 There is certainly ample evidence to back up the Serbs’ misgivings towards the International Criminal Tribunal for the former Yugoslavia (ICTY). “A lot of people here in Serbia are skeptical about the record of The Hague tribunal. 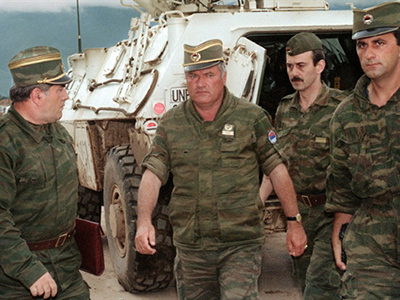 Take for instance Slobodan Milosevic, who died in prison without conviction; then some notorious war criminals, that are generally acknowledged as war criminals here in Serbia, like Ramush Haradinaj from Kosovo and some Bosnian Muslim commanders. They have actually been acquitted after the sudden death of witnesses or after the tribunal simply concluded that there was not enough evidence!” stated Bojan Brkic, editor and analyst for Serbian TV. And the example of Haradinaj is by no means the only one. For instance, the current Kosovo Prime Minister Hashim Thaci. He has been accused by the Council of Europe of being in charge of an organ trafficking group. And still remains in his post. 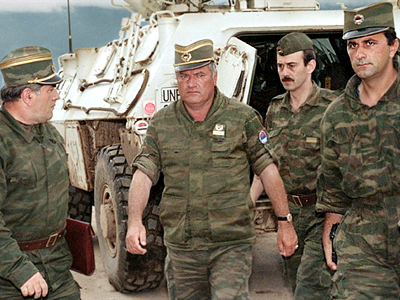 Bosnian General Nasir Oric was known among the Serb residents of the district of Srebrenica as "the vampire" for allegedly slitting the throats of thousands of civilians. He walked free, cleared of all charges. And finally, former military leader Sefer Halilovich, who was accused of mass murders during the Balkan War of the 1990s. He entered politics having also avoided being brought to justice. This, many suggest, is a very clear indicator that The Hague Tribunal is being used as a political tool, not a legal one. Darko Mladic, son of General Ratko Mladic seems to have grave doubts that justice will be served: “Is it justice or something else? The events that happened in the Balkans – were they a question of law, politics or someone else’s interests? I believe that all the people of former Yugoslavia are victims. It is the third war we let ourselves be involved in the 20th century. We did it for the sake of foreign interests, and no one emerged as a winner. The Balkan crisis was created much earlier and has long been unfolding before our eyes. And it has nothing to do with law and justice. 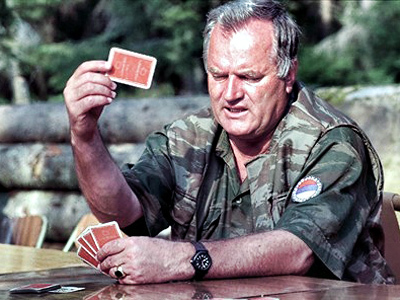 And the law of this tribunal is going to provide a cover for it,”Darko Mladic told RT. Neither does he believe his father will get a fair trial. But at the very least, The Hague will offer him better treatment. “You don’t need to be an expert to understand my father is in a very poor condition. He can’t even read. He has to go through thousands of pages to be able to testify in court, but he is simply unable to do that. He has difficulties with speech too. How will he consult with his lawyers? It’s impossible. He’s got problems with his memory – he may remember things that happened long ago, but at the same time he can’t remember what happened yesterday or the day before yesterday. How can a person with these health problems appear in court,” said Darko Mladic. 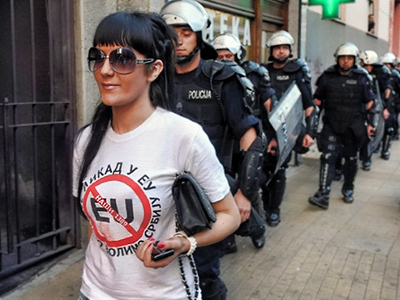 Europe's lady justice is accused of turning a blind eye to Serbia's opinions, and has been for some time. “When the Yugoslav conflict was at its height, the Western media, including the British media, was far from objective. 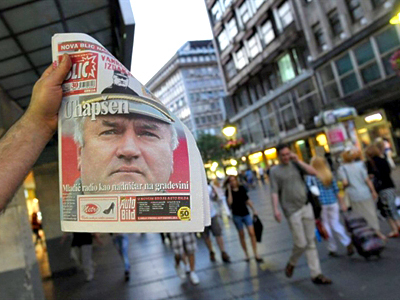 And I can well understand why Serbian people demonstrate against the arrest of Ratko Mladic. They are accustomed to the fact that Western media always gave Serbia a bad name during the conflict. And I’ve seen for myself a war crime in Bosnia at a place called Bosanski Brod, which was completely ignored by the media,” maintained Bob Wareing, a former MP. Serbia's Ministry of Justice is called the Ministry of Truth. 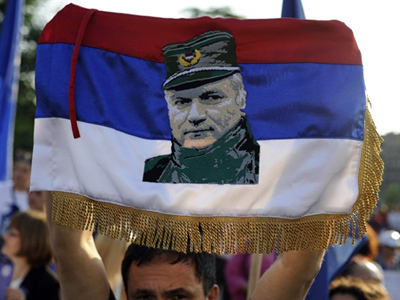 But if it agrees to ship Ratko Mladic off to trial, it is likely to confirm what a lot of Serbs believe – that it stands for neither. “They believe that his fate is already sealed and that there’s a conviction before the trial already prepared. But there are many speculations [sic] on what’s actually going to happen in The Hague Tribunal when he arrives there. There are some who say he’s going to be tried together with Radovan Karadzic, that he actually even said that he’d like Vojislav Seselj, who is also in The Hague Tribunal, to defend him in front of it,” Malagurski said. 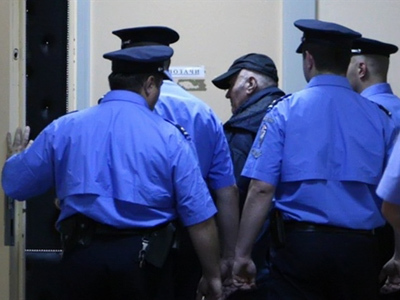 ”But regardless of all that, I believe that Ratko Mladic is in a very bad state physically and mentally, and it’s very questionable that he’ll be able to participate in his own trial in normal way,” he added.